As a rule, successful merchants always keep an eye on customer conversion rate and they use any opportunity to increase it. But sometimes store owners forget the Thank you page which can be quickly turned into a powerful tool. Your websites thank-you page is where users are taken after completing the desired conversion. Often a website thank you page features is just a thank you message in response to a visitor’s order/download. An enormous thank you page has more than just that though…. Do you need a Thank you page to empower your sales? Definitely Yes! Why do you need a thank you page at all? First of all, say thank is the polite thing to do in any kinds of business, and you don’t look like a lousy sale person only interested in profits alone. But more importantly, the thank you page serves as a method to continue your interaction with a user. On many businesses, the thank you page is at the bottom of the priority list. But those who think conversion is the end goal could not be more wrong. Conversion is just the beginning of your relationship with your visitor. The Thank you page is the perfect opportunity to cross-promote your products, tell visitors about promotions, or ask them for a social media share. Why is Thank You Page Important anyway? Your thank you message being sent on the page should mainly focus on how much you appreciate customer purchasing action. It should be genuine and sincere and should be present creatively to make the message unique. Thank leads for the specific work they’ve taken to ensure them it isn’t just a generic message. 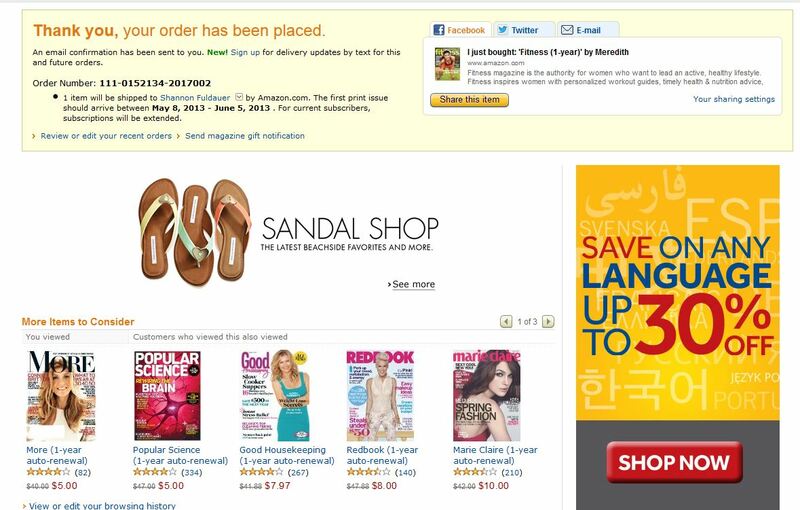 You’re using the free offer thank-you page for guiding users towards a possible purchase. The customer has just invested and is in a “yes” mood. You could also use this opportunity to show the most popular items on your site, in the hope that your customer is influenced by social proof. You can lead them towards another immediate purchase on impulse by showing them more products they might like or they can be attracted to buy. You are self-creating chance of higher sales by displaying other products, services or resources that may catch customers’ eye. And as a result, when customer tends to make repeat purchase in your store, that’s a good opportunity for you to build brand awareness and turn them into loyal customers. Your Thank-yu page is a great way to continue selling to visitors. 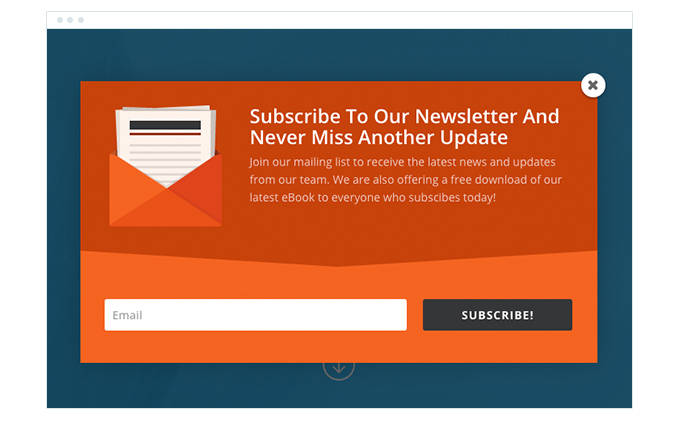 A great feature of a Thank you page is to allow customers to sign-up for your newsletter or blog. They are still in the conversion mindset and will be more willing to opt-in at this point. A newsletter of a blog with the information about your new products or exclusive deals is a great tool to help to keep your brand and your business fresh and updated right in visitors’ minds, long after their first purchasing. That’s also an opportunity for you to achieve new e-mail addresses from target customer to implement in your active contact list. An example of a thank you page with a newsletter sign-up can be seen below. Use customer social networking sites as powerful viral marketing tools by suggesting your customers share their purchasing information on their social circles. Visitors are still in that “yes” mindset, so now’s the time to ask them to share you on Facebook, Twitter, Instagram, Pinterest, etc. Adroitly, through the social network sharing posts, you can get the new reach to your website and also build deep brand awareness. If a Thank you page is to say thank without any engaging content along, that is an over the relationship between you and your customers. Based on what kind of visitor regularly come to your site, you should have a pretty good idea what type of content interests them. The best Thank-you page work to get visitors excited about other offers or pages on their site, rather than let the lead drop off. So insert videos, infographics, blog posts – whatever your visitor will enjoy. All of us can easily see a famous example of this way in the biggest e-commerce website Amazon in any pages following a purchase with many “you might also be interested in” contents. No matter what kind of business you’re in, Thank you page is always one of the most useful tools if it is made up with all the right ingredients. No matter you’re trying to gain more increase your conversion, empower your sales or spread your business to the world, that’s all the right reasons for you to create and apply a Thank you page to your website. As you know, the default thank you page in Magento is too simple and you are not able to customize this page. Hence, we offer Checkout Success Page extension for both Magento 1 and Magento 2 version to help you create the Thank you page as your wish. Have you built an effective Thank you page yet?